C.D.C. 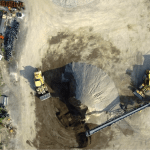 (Client Data Collection) Program | Canadian UAV Solutions Inc. C.D.C. 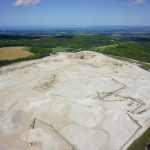 (Client Data Collection) Program | Canadian UAV Solutions Inc. If your operation is looking for the flexibility to acquire drone data at your convenience, without the hassle of dealing with ever-changing drone regulations and laws and expense and training required to process the drone data, we have the solution! Our Client Data Collection (C.D.C.) program was created specifically to meet these needs.